Founded in 2002, Ornamentum Gallery exhibits a dynamic collection of contemporary jewelry as well as related objects and artworks. Ornamentum hosts numerous exhibitions yearly in one of the world’s largest gallery spaces dedicated specifically to contemporary jewelry / artworks where featured designers/artists often display their work in conceptual installations. Co-directors Laura Lapachin and Stefan Friedemann founded the gallery after themselves being educated as jewelers / designers in the USA and Germany, these experiences put to work in the gallery setting have earned them international acclaim as impeccable and discerning curators. 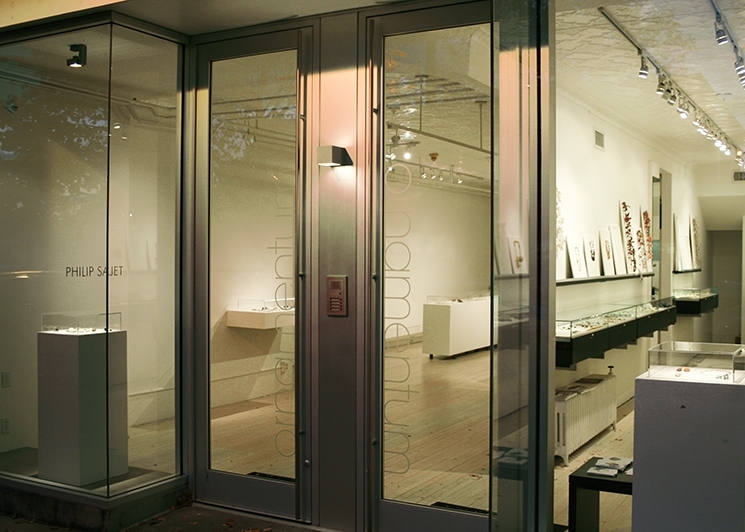 In addition to the gallery, situated in picturesque Hudson, NY, Ornamentum exhibits regularly at international fairs, and holds the distinction of being the first gallery for jewelry to be accepted as an exhibiting gallery at the prestigious Design Miami fair- sister fair to Art Basel, as well at the Basel, Switzerland venue of the same fair. Ornamentum can also be visited at the Collective Design Fair in New York. With an eye towards the conceptual side of the jewelry field, Ornamentum is known as the source for intelligent, provocative and historically important works from a roster of the most consequential international designers/artists - established and emerging. Ornamentum gallery has placed important works in numerous public and private jewelry, art and design collections worldwide, boasting a clientele range from collectors, museum institutions, architects, designers and consultants, who trust Ornamentum to put forth the best examples of works befitting their particular needs / wants. Monday 11:00 - 5:00 p.m.
We are happy to schedule appointments during off- hours. Gallery may be closed during out-of-town exhibitions and fairs.